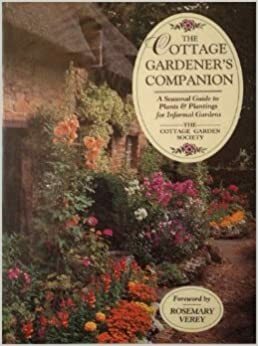 He observed that the old cottage gardens did not have lawns because there were no lawns when the cottage garden tradition began. “One certainty about cottage gardens is that every available square inch of ground was used. Vegetables and flowers crowded happily together….” pgs. 6-7. Stately delphiniums are the backbone of this colorful cottage garden plan.